Ever visit the Fayetteville Towne Center on a Thursday afternoon? 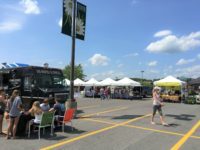 You may have noticed a different kind of shopping experience in the parking lot outside of Target. Today’s farmers markets are diversifying to include more than just locally grown fruits and vegetables. 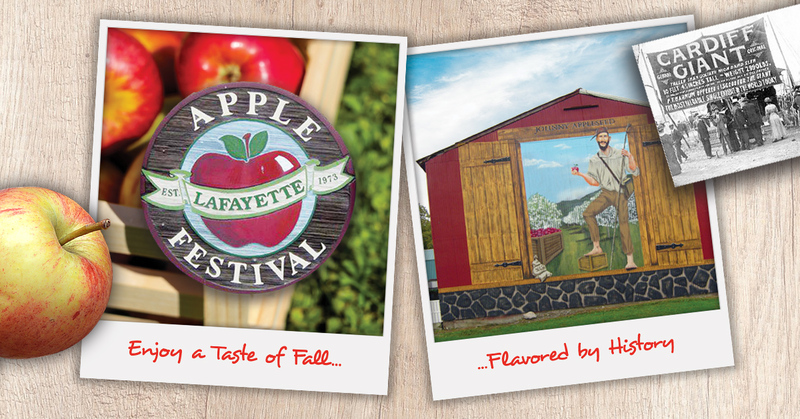 Of course, in-season produce is abundant at any Syracuse market. But you’ll also find baked goods, meat, eggs, cheese, honey, flowers, and even local wine. 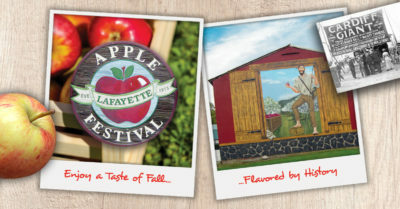 Plus, most vendors offer free samples (or will if you ask). Need a caffeine fix? At the Fayetteville Farmers Market, local roasters Recess Coffee and Fojo Beans have you covered. Area artisans also sell quality, handmade crafts like handwoven baskets and soaps. 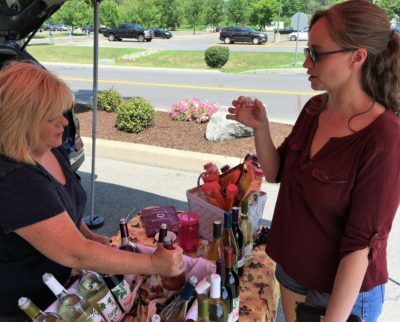 “I’ll be honest, I can’t get everything on my grocery list at the Fayetteville Farmers Market. But I can get about 75% of what I need. 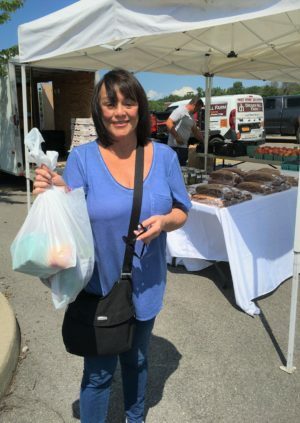 My Thursday routine is: shop the market first, then get whatever is left at Tops,” said Shantice from Syracuse, who was carrying out 3 totes stuffed with food. 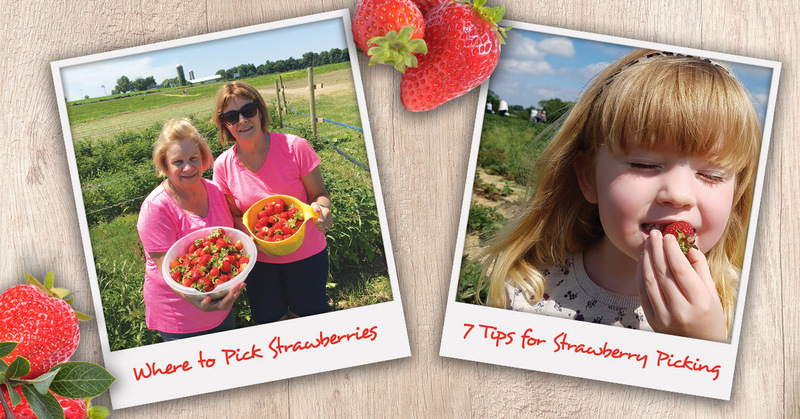 Elizabeth’s statement that fruit is sweeter and juicier isn’t just an opinion – it’s based on science. Many fruits and vegetables produced on large farms in California or Arizona are varieties grown for attributes other than taste. A uniform shape, thicker skin (to handle long journeys), and a longer shelf life are priorities. After all, conventional produce travels 1,494 miles on average before arriving at the grocery store. 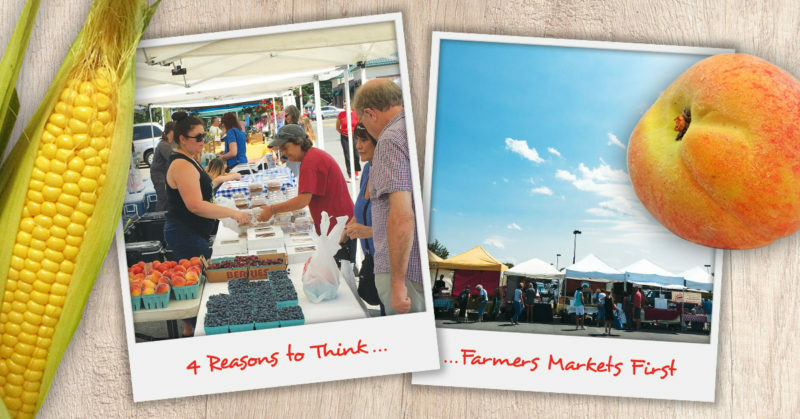 Farmers at the Fayetteville market come from within a 50-75 mile radius. They can – and usually do – harvest everything the morning of the market, so shelf stability isn’t an issue. 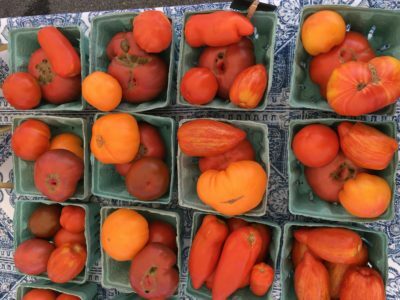 That’s why you can find delicate heirloom tomatoes and those super sweet berries. From live music to kid’s activities, fun and a friendly atmosphere is on the menu at local farmers markets. 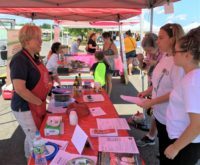 On the day we visited the Fayetteville Farmers Market, Cornell Cooperative Extension was doing a cooking demo – whipping up samples of a salad, and handing out recipes. In the center of the market, the Via Napoli food truck was selling wood-fired pizza and shoppers were gathered around tables. 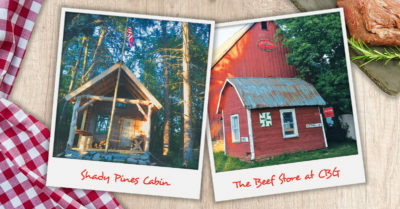 “There’s a real sense of community at the market. We enjoy chatting with customers and getting to know them,” said Kyle, a manager at Recess Coffee. Kyle suggests that shoppers ask for recommendations and advice from vendors – but don’t be surprised if customers chime in, too. Over at Mountain Grown Farm, a customer was asking the farmer how to use shishito peppers. Another shopper shared an idea of grilling them with a little butter and salt. 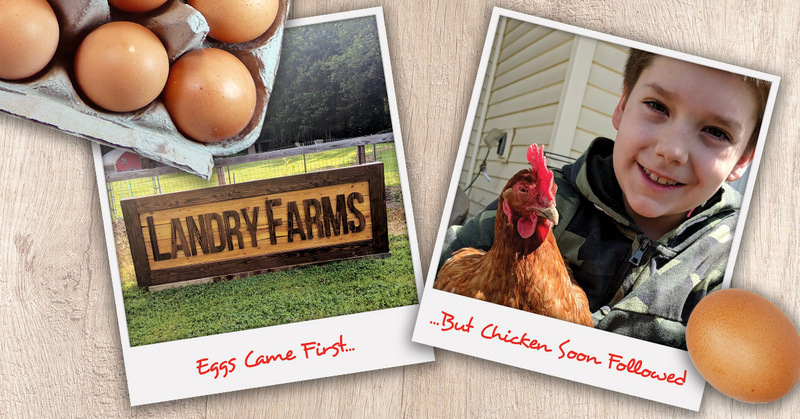 “It just feels good to know I’m supporting these farmers. I’ve gotten to know them. My dollars make a real difference,” explained Elizabeth. Again, Elizabeth is right. When you buy products directly from farmers, they receive nearly 100% of your purchase. However, at most grocery stores, farmers only receive 15 cents on the dollar. But it’s not just dollars that make an impact. 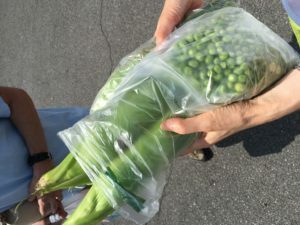 Those who receive SNAP/EBT and WIC checks can opt to use their benefits at farmers markets. 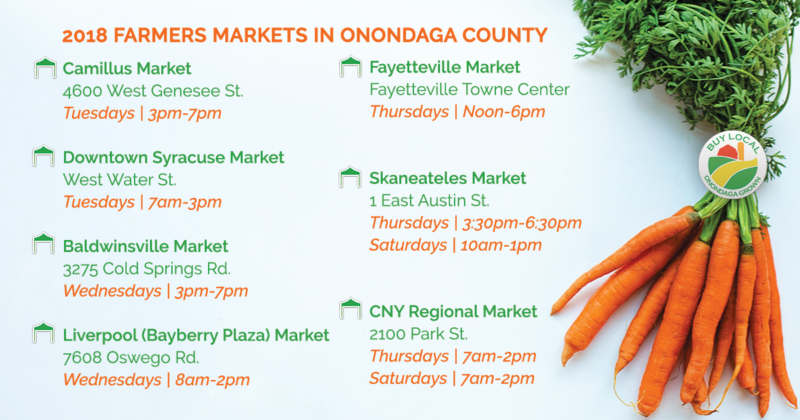 The Fayetteville Farmers Market – and most markets in Onondaga County – accept WIC and Senior Farmers Market Nutrition (FMNP) checks. 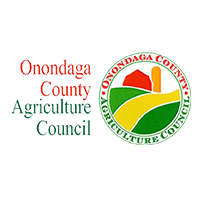 The Downtown Syracuse Farmers Market and the CNY Regional Market both accept SNAP/EBT benefits. “The farmers take WIC and Senior FMNP checks to support folks that need a little help purchasing their fruits and vegetables,” said Lacey, the Fayetteville Market Manager. In turn, the customers are supporting the farmers, who then redeem these checks for cash. 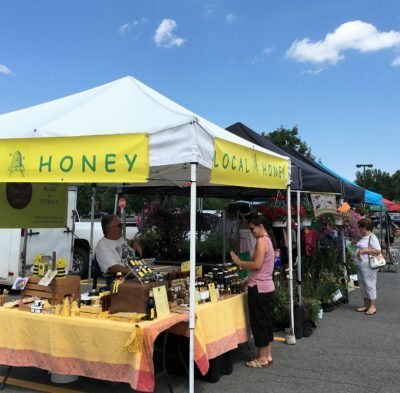 No matter how you buy products at the farmers market – or what you buy – it benefits our local economy. If everyone in the Syracuse area spent $10 at a local business instead of a chain store, $21 million would be invested back into the economy. So the next time you’re heading out for groceries, put a farmers market first on your list…because everyone wins: your family, the farmers, and our community.